A fire-prevention bill written on behalf of Laguna Beach awaits the signature of Gov. Jerry Brown, who has until Sept. 30 to approve or veto the measure. If signed, the bill that cleared the legislature Thursday, Aug. 25, is intended to help safeguard Laguna and other high fire-risk communities. In the last 10 years, downed power lines ignited at least four Laguna Beach fires. SB 1463 would require the state Public Utilities Commission to consult updated, specialized fire-hazard maps that identify where utility companies must shoulder responsibility for reducing the risk posed by their equipment, says a fact sheet on the proposed bill. The measure was authored by state Sen. John Moorlach at the urging of elected officials in Laguna Beach. On earlier maps Laguna and other areas with a history of wildfires received low fire-risk scores because the maps relied on wind speed alone, said fire Chief Jeff LaTendresse, a member of a task force developing new map criteria for the PUC. Over the last 12 months, former Mayor Bob Whalen spearheaded legislative efforts to mandate PUC use of updated wildfire information in regulating installations by utility companies. Efforts to persuade Southern California Edison and San Diego Gas and Electric to bury its utility lines underground gained new momentum following a 15-acre brush fire ignited by downed power lines last July. 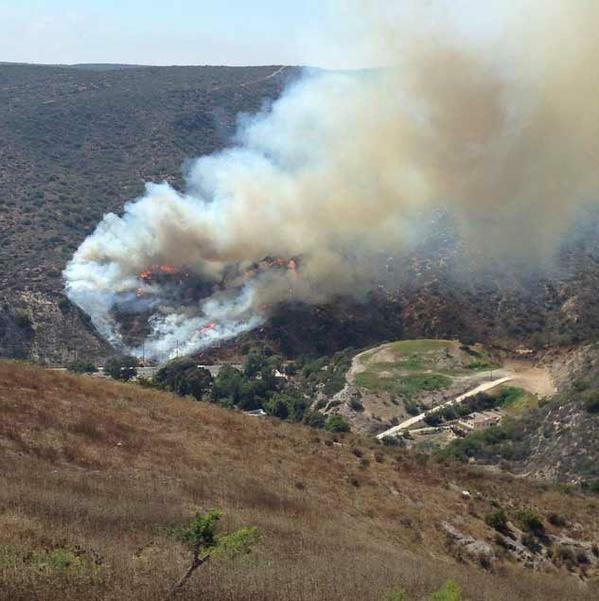 The fire-caused closure of Laguna Canyon Road during a summer weekend created widespread congestion and fanned the fears of residents. Another 70,000-acre blaze also linked to utility lines in Butte County last September resulted in two deaths. Butte, too, scored low on the initial fire-hazard maps, LaTendresse pointed out. The Butte fatalities, the early onset of fire season and trees statewide stricken by drought and bark beetles are getting the attention of regulators and utilities alike, LaTendresse said. “It’s very expensive for utilities to deal with the liability when their infrastructure is the cause of fire,” he pointed out. But cities such as Laguna and utility companies disagree on the approach to designing a system with fewer risks. Utilities generally prefer lower cost remedies such as replacing wood poles with steel, or stringing fatter, wind-resistant cables. Within days of the fire in Laguna last July, Whalen sent Edison officials a blistering letter, holding the utility responsible for the imminent threat posed by their toppling power lines. But negotiations with the utility, urging a city partnership to underground wiring, went nowhere. “When it became evident that we weren’t going to get any meaningful assistance from SCE to underground utilities, we decided to go the legislative route for a solution,” City Manager John Pietig said in a statement. Whalen said putting the bill together was an uphill battle, as lobbyists for the utilities and cable companies watched every move. “We didn’t get everything we wanted in this bill, but it is an important first step and will strengthen our hand as we do battle at the CPUC to make sure that Laguna Beach is recognized as an area for enhanced measures to prevent fires caused by overhead utilities,” he said. Light winds and clear conditions allowed for air drops to keep the July 2015 brush fire to just 12 acres. 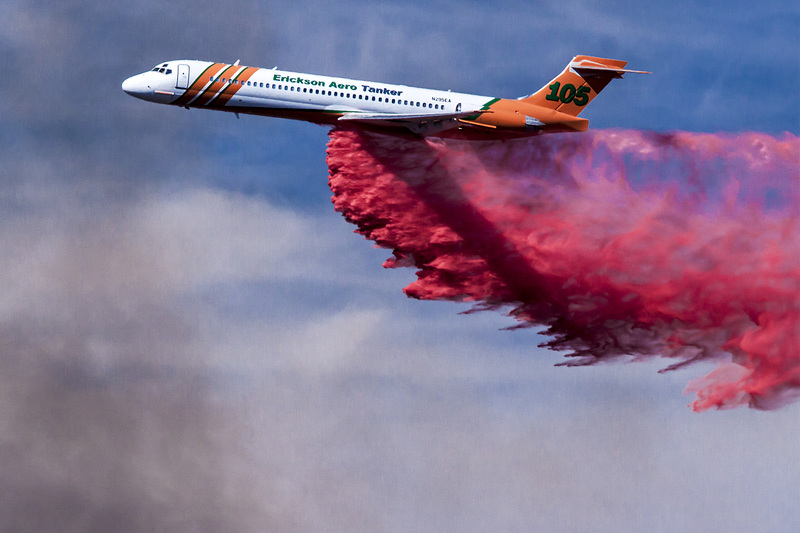 to have favorable wind conditions and immediate air support to knock the fire down,” he said. If the city wins the governor’s support, Whalen said Laguna Beach will work with other cities and counties that are at risk from fires caused by utilities to develop legislation requiring greater protections.